On Monday, November 6th, LHS students and faculty welcomed special visitors, State Superintendent of Education, John White; 1st District BESE Representative, James Garvey Jr.; and Louisiana Scholarship Program Administrator, Olin Parker; for a school visit. These VIP guests were greeted at the door and they enjoyed a student-led tour of the campus, followed by classroom visits and conversations with our students about their many positive experiences at Lutheran High School. 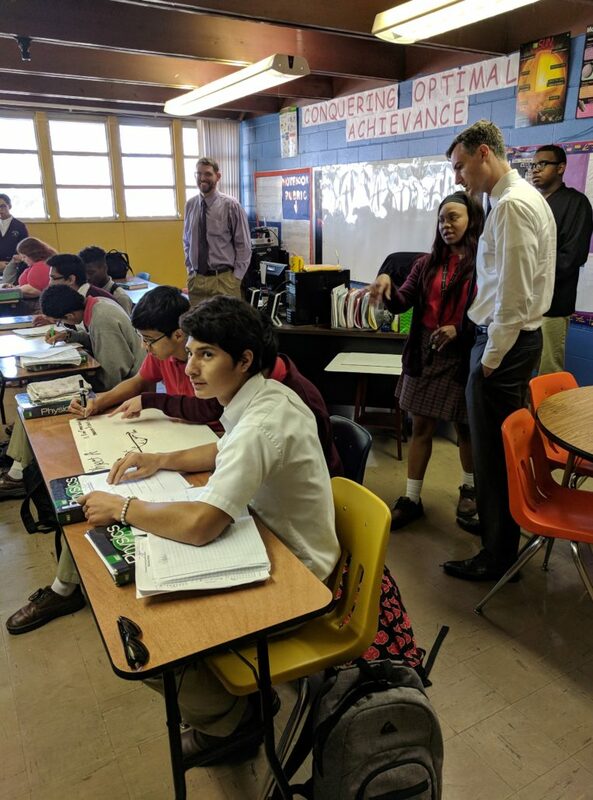 LHS was chosen for this visit due to Lutheran High School’s exceptional performance state-wide as a participating school in the Louisiana Scholarship Program.